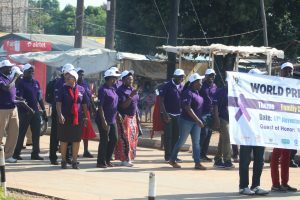 A procession around the North western Uganda town of Arua comprising of district officials, health workers, students, Health ministry officials and representatives from national and international development partners ushered in national celebrations to commemorate the 2018 World Prematurity Day on November 17. At the head of the parade was the Minister of State for Primary Health Care, Hon Joyce Moriku Kaducu ( below in Kitenge skirt), flanked by among others, the Assistant Commissioner for Child Health in the Ministry of Health, Dr Jesca Nsungwa Sabiiti (with red scarf around the neck). 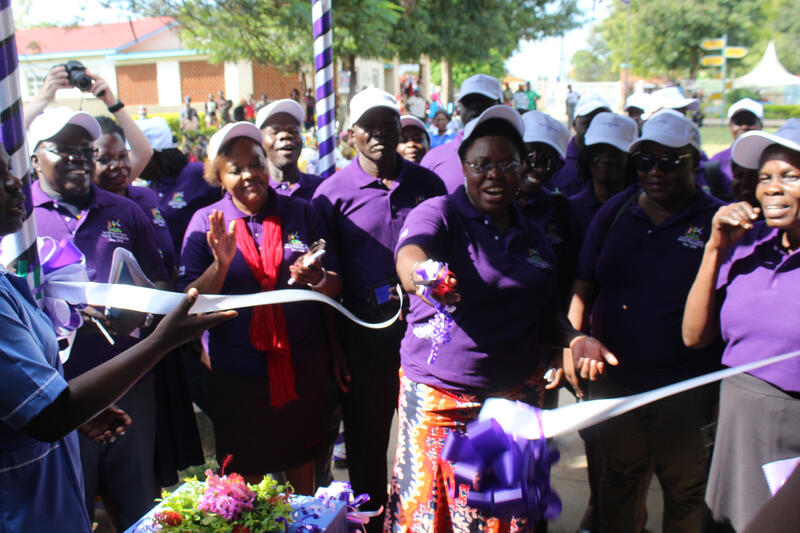 The commemoration also saw the official opening of a neonatal care unit at the Arua Regional Referral Hospital by Minister Moriku. 679 babies have been admitted at the hospital over the last one year due to prematurity related ailments. The opening also comes a time when Government is mooting plans to open neonatal units at major hospitals across the country. Over 226000 babies are born before they are term in Uganda annually. Addressing a gathering at Arua Hill Primary School, Dr Kaducu congratulated all the babies who were born preterm and were present that day, as well as those among the audience who had grown to maturity. She told her listeners that World Prematurity Day helps “to raise awareness, sensitize the nation to the plight of the newborns who come too soon, and to highlight the challenges and burden of care” of babies born preterm. The minister listed teenage pregnancies, frequent deliveries, poor nutrition, and advanced maternal age among the possible risk factors responsible for the increasing number of preterm births in the West Nile sub-region. “Let us try our best to stop the high teenage pregnancy. For the mothers, the frequent deliveries increase the chances of giving birth prematurely,” she said urging couples to maximize the use of family planning. Speaking at a pre-event workshop on the eve of World Prematurity Day, Makerere University’s Phillip Wanduru said there was need to improve the data collection process from health facilities to the Health ministry. 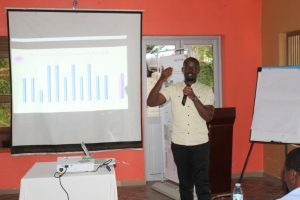 Drawing on experience from the Busoga sub region where Makerere University is implementing the Preterm Birth Initiative study, Mr Wanduru said there are many cases of erroneous data entry in some public facilities, which compromises the quality of data sent to the Central pool.